Ahead of the National Convention of the Peoples Democratic Party (PDP), members of the National Assembly caucus of the party on Thursday night exchanged blows at the residence of a former Governor of Akwa Ibom State, Chief Godswill Akpabio, over the choice of the next national chairman of the party, The Nation reports. Akpabio, who is the Minority Leader in the Senate, had convened a session on how to keep the party united and ensure a rancour-free convention. The session was also meant to allow the National Assembly Caucus to interact with all the aspirants of the party. 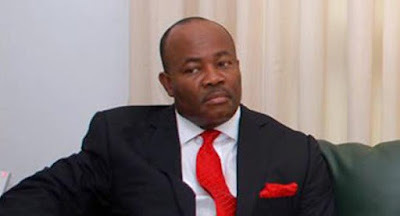 The fracas occurred at the residence of Akpabio in Asokoro District, Abuja. A top source, who was at the meeting, said: “The Senate Minority Leader convened the session in his house to enable us interact with all the aspirants on their programmes and form our opinion on who to vote for. “We were barely settling down for the session when some members of the House of Representatives raised issues concerning some aspirants for the office of the National Chairman and others disagreed. “The development led to shouting match and fisticuffs among some Senators and members of the House of Representatives. Another source at the meeting said: “The meeting ended abruptly when some lawmakers started exchanging blows over who should lead the party. A member of the House of Representatives, who was hit at the session, said: “I think some of our colleagues at the session were just being overzealous by taking sides. They misread the intent of what we were to do. The chairmanship candidates are a former Acting National Chairman, Prince Uche Secondus; a former Minister of Education, Prof. Tunde Adeniran; a former Deputy National Chairman, Chief Olabode George (but pulled out last night); a former Minister of Sports, Prof. Taoheed Adedoja; a former Governor of Ogun State, Otunba Gbenga Daniel; a media mogul, High Chief Raymond Dokpesi; and Aderemi Olusegun.